The September 10, 1864 edition of Harper's Weekly featured a news account of Nathan Bedford Forrest's daring raid into Memphis Tennessee. Below, we present a scanned image of the entire leaf describing the raid. 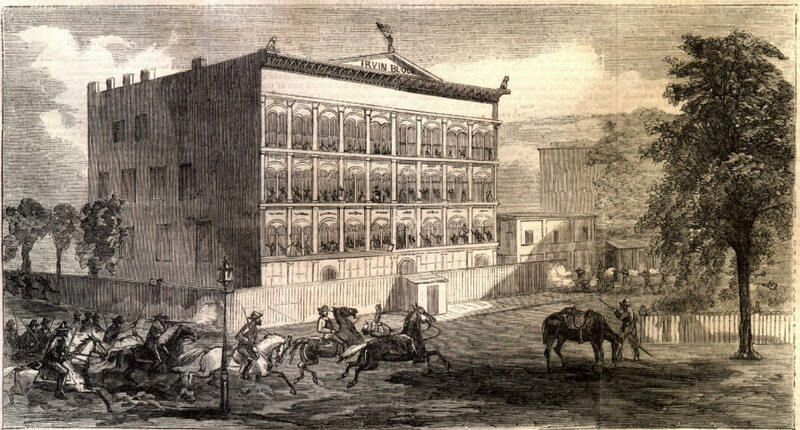 oso House with his valiant horsemen, who rode right into the office of the hotel in search of General HURLBURT, who had also escaped. A portion of the rebel force then proceeded to break open Irving Prison, in order to release the prisoners there confined.—But the guard resisted them, and was assisted by the fortunate arrival at the right moment of the Eighth Iowa regiment. 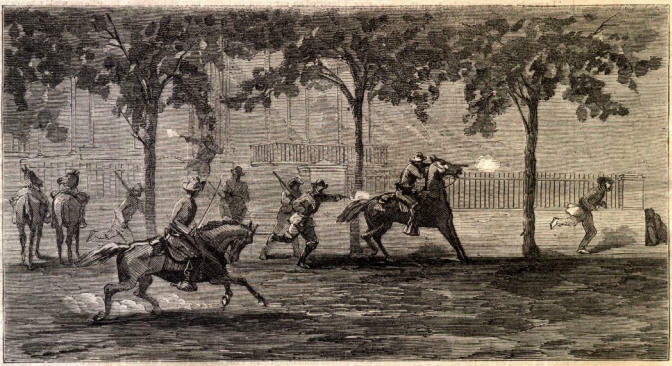 about 6 A.M. the rebels left the town, finding it growing too hot for them, having accomplished the capture of 200 citizens and about 100 horses, and having butchered all the negroes they could find in the streets. There was little plundering; indeed the rebels had orders not to dismount under penalty of being shot. The rebels suffered heavily. Their object appears to have been the capture of Generals WASHBURNE and HURLBURT.